The penultimate and sixth qualifying round of the tournament heads to Johor. 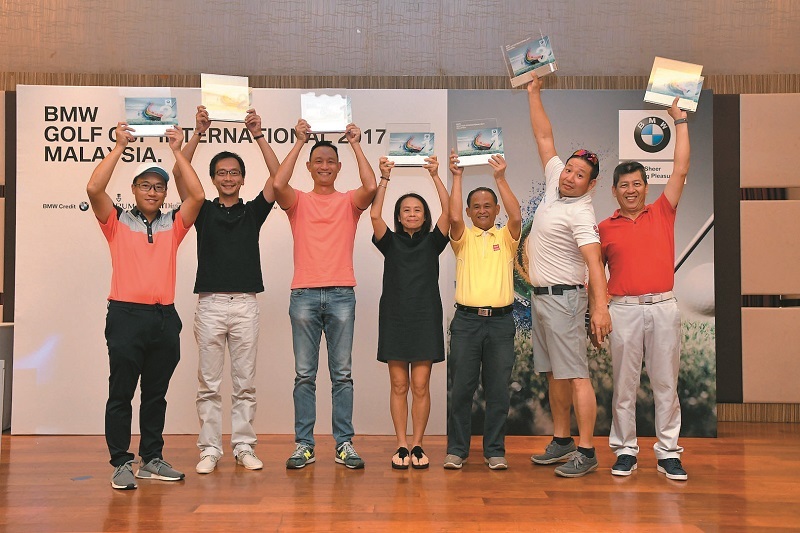 The penultimate and sixth qualifying round of the BMW Golf Cup International 2017 Malaysia made a stop in Johor, much to the delight of BMW owners in the southernmost state of the peninsula. Held on Aug 23, spots in the tournament were highly sought-after as the Horizon Hills Golf & Country Club was named by Golf Digest Malaysia in its July issue as Malaysia’s No 1-ranked course. A total of 87 players, including three women golfers, hit the 5,951m, Ross Watson-designed Horizon Hills course, fighting for places in the national final that will be held at the exclusive The Els Club Teluk Datai in Langkawi on Nov 16. After a hard-fought duel over 18 holes, the Men’s A category was won by 11-handicapper Teoh Jay Jay, who signed for a 71 nett. The first runner-up of the day was Patrick Lim Lay Seng (9), who won on countback with 72 nett, while Seem Kok Hin took the second runner-up spot. In the Men’s B category, the top three spots had to be decided on a countback after all three players returned a 68 nett. Eventually, the top spot went to 15-handicapper Hoe Kim Sun, a member of the Palm Resort Golf & Country Club. 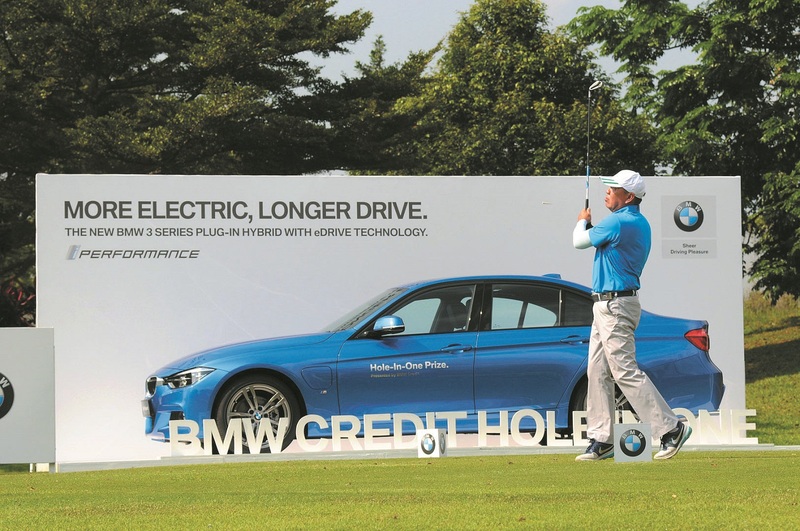 “This is the first time I am participating in the BMW Golf Cup International Malaysia and it is nice to have qualified for the national final,” says the 64-year-old Hoe, who is in the export business. The first runner-up was 18-handicapper Goh Kwok Fei, while Chiang Sooi Yee (24) took the second runner-up spot. The Women’s category was won by 12-handicapper Kong Keng Joo with a nett score of 88. The exclusive Corum Hole-in-One prize of an Admiral’s Cup AC-One 45 Chronograph and the BMW Credit Hole-in-One prize of a BMW 330e M Sport went unclaimed yet again, although Toh Cheng Meng from the Men’s B category managed to snag the BMW Credit Nearest-To-Hole prize, winning a RM1,000 rebate for BMW Comprehensive Motor Insurance (underwritten by Allianz General Insurance Company (Malaysia) Bhd. The BOSS Longest Drive novelty challenge on Hole 6 offered a BOSS ensemble worth RM800 as the prize. Guest category player Pan Chee Seng took the prize home after producing a 250m effort — the longest measurement in the event this year. The Nearest-to-Line prize of an exclusive BMW rucksack, contested on the 320m 4th hole, was bagged by guest player Au Yong Koo Cheen, whose ball came to rest 50cm from the line. A similar BMW bag was the prize for the Men’s Nearest-to-Pin, contested on the signature par-3 hole measuring 108m. Seem Kok Hin won the men’s prize with his 90cm effort, while Chan Keat Peng from the guest category walked home with the exclusive prize with his effort of 3m 10cm. Premium lucky draw prizes awaited those who weren’t as fortunate on the greens, and included merchandise from BMW, adidas, Corum, Harman Kardon and L’Occitane as well as vouchers from Tropicana Golf & Country Resort. The BMW Golf Cup International series first teed off in Germany in 1987 and has become one of the world’s most prestigious and successful amateur golf tournaments, attracting more than 150,000 golfers from over 46 countries every year. Providing the perfect mix of thrilling competition and social interaction, the BMW Golf Cup International Malaysia celebrates its tenth year in Malaysia, and has become a benchmark in amateur golf tournaments. The remaining leg of the BMWCGI in Malaysia will be held on Sept 13 at the Penang Golf Club. This year’s tournament is supported by BMW Credit, Corum, Golf Digest, Hugo Boss, Plaza Premium Lounge, The Edge, adidas Eyewear, Harman Kardon, illy Coffee, L’Occitane, The Peak and TaylorMade-adidas. For more information or to sign up for future qualifying rounds, for more information, visit www.bmwmygolfcup.com or call 1 800 88 3000.